For families with two homes, the school year can cause some additional stress on the kids and parents. This post discusses a few of the common difficulties people face relating to custody and parenting time with school aged children. Who Decides What School the Child(ren) Attend? First, in Oregon, one parent typically has legal custody as part of your court order. Whoever has legal custody gets to decide where the kids attend school. Having legal custody however does not give one parent control over the school information. Oregon specifically allows that both parents, regardless of who has custody, to be entitled to equal access to all school records and information about the children. Unless your court order specifically says otherwise, both people should have exactly equal rights to be involved with the children’s education. The same rule applies to people without any court order. If you are in the early stages of a custody case, things are a bit messier, but both parents have equal rights to communicate with the school until a judge says otherwise. Which Parent Picks the Kid up in Case of Illness or Other Problems During the Day? One of the biggest problems that we see has to do with who handles any problem that comes up during school. Let’s say there is a parenting plan that says Father gets every Tuesday and Wednesday night, and Mother gets the kids all other nights. Well, what happens if on a Tuesday morning the child needs to come home from school early? Which parent is responsible for leaving work to pick the child up? The answer to this question isn’t always easy. A good family law attorney will ensure that your court order is clear about how these responsibilities are divided, to ensure that you and your ex don’t have to argue about these details every time it comes up. Without a clear court order though, this can cause a lot of headaches and stress for both parents. Some people also fight over whether one parent can volunteer at the children’s school on a day belonging to the other parent. Again, the law isn’t always clear on what to do, so it is important that when you are crafting a court order, you or your attorney think through a lot of these issues to decide what the rules should be for you and your family. It’s important to keep in mind that anytime the parents argue over issues like these, the children suffer for it, so having clear rules written down and agreed to, or ordered by a judge can really help improve your children’s overall happiness. The final point I’ll discuss is whether or not it is a good idea to do parenting exchanges at school. Some parents prefer to avoid the extra personal interaction, and use the school as their transition time. For example, maybe Mom will drop the kids off Monday morning at school, and dad will then be responsible to pick them up after school to start his parenting time. This schedule can be either good or bad depending on your situation and age of your children. If the kids are expected to carry a bunch of stuff back and forth with them between houses, then this might put a lot of pressure on the kids to carry their belongings with them at school all day. On the other hand, if you and your ex fight like cats and dogs, and can’t get through a parenting exchange face to face without some sort of venom being let loose, then it may be better for the kids not to be exposed to that arguing. 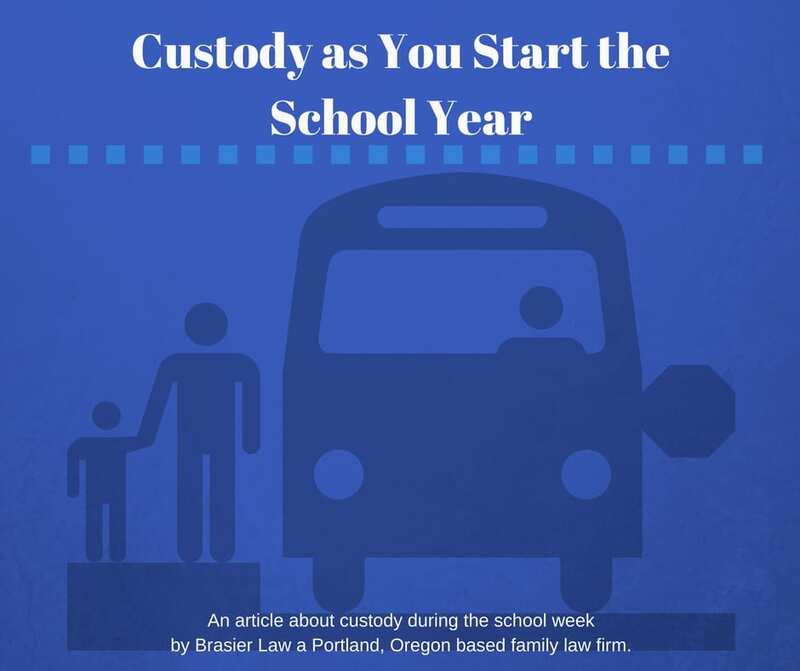 These are just a few of the issues that come up during the school year in regards to custody and having a good custody attorney can really help to lay the ground work for transitions and boundaries to be clear from the start so fewer issues arise later possibly requiring modifications to custody agreements. For information about changing custody see our article about Oregon Custody Modification. 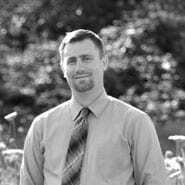 Tom Brasier is an experienced family law attorney practicing in Oregon and Washington. You can contact him at Brasier Law by calling 1 (503) 855-4777 or by using the contact form below.